In soccer, the goalkeeper is a designated player with the job of directly preventing the opposing team from scoring by defending the goal. To get a good soccer goalkeeper for your team, remember this: the bigger the goalkeeper, the better. Bigger goalkeepers can cover more ground in front of the net. 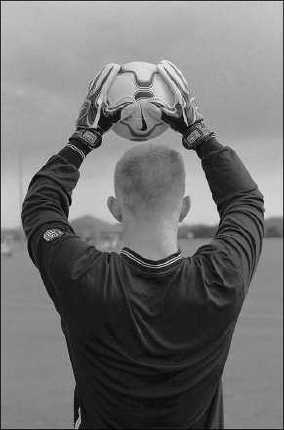 Most of the good pro goalkeepers are six feet or taller. But they must be quick and nimble as well. Traditional keepers stay close to the goal and don’t wander outside of the penalty area or race into the midfield with or without the ball and wind up as part of the attack. Yet, a new generation of keepers is so adept at handling the ball that they become part of the attack. And yes, some goalkeepers have scored goals. Some say goalkeepers are like wine, meaning that they get better with age. The more experienced they become, the more knowledgeable about the game they are; most professional keepers, in fact, don’t hit their prime until they are into their 30s. Making saves isn’t just knocking the ball out of harm’s way. 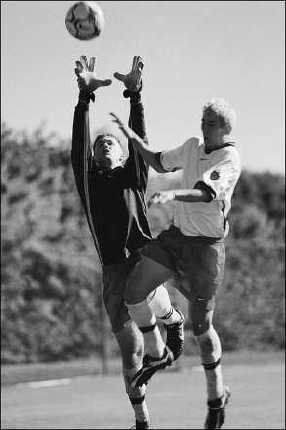 If a keeper can hold onto the ball, the opposition has no way to score. When the opposition is attacking, the keeper should be prepared to grab the ball out of the air or pounce on it. For starters, the keeper should be standing with his hands at his side and palms facing the ball while his feet should not be wider than his shoulders. The goalkeeper’s center of gravity should be low, and his weight should be on the balls of his feet when the shot is taken (see Figure 1). 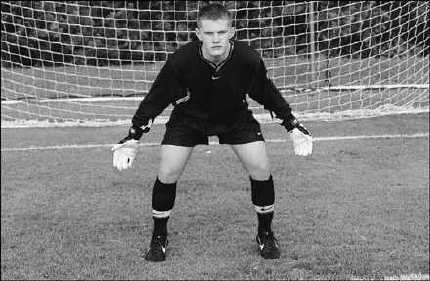 Figure 1: The proper way to stand in goal. The diamond, or W, catch: The goalkeeper catches the ball when the shot is wide or over the head of his body, as shown in Figure 2. It is vital to get as much of the body behind the ball as possible, so that the ball, just in case it pops loose, can hit the body and the keeper can fall on it. Figure 2: The diamond catch. The chest catch: When the shot is right at the keeper, as the ball arrives, the keeper should surround it with his arms, elbows close together to trap it against the chest (see Figure 3). Figure 3: The chest catch. 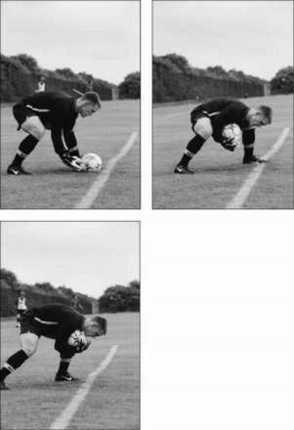 The scoop catch: For a low shot or one that is rolling on the ground, the keeper should place his hands on the ground with his palms facing up, as shown in Figure 4. Figure 4: The scoop catch. The full-extension dive: Used when a shot is heading toward one of the corners of the net, the keeper has to extend himself to the fullest, making his first stride as long as possible with arms extended and away from the face to see the ball as clearly as possible, as shown in Figure 5. Figure 5: The full-extension dive. The cross: Going up for crosses is all about timing and confidence — confidence that teammates have in the goalkeeper and vice versa. The purpose here is to stop the opposition from scoring off a head shot, usually from a corner kick. To get the best possible jump, the goalkeeper should jump off one leg and lift the knee that is facing the play to add to his leap. The keeper should attempt a diamond catch while moving toward the ball before cradling it into his chest, as shown in Figure 6. If a catch is not possible, the keeper’s only option is to punch the ball away from the goal. Figure 6: Catching high crosses.